Someone once said that all poets have miserable lives. 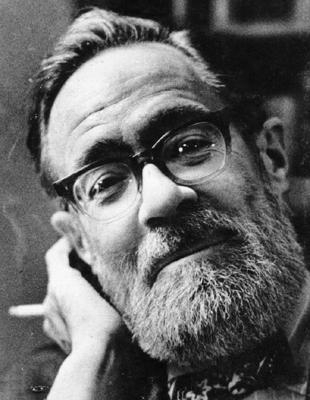 In John Berryman‘s case, this bore out. This brilliant, idiosyncratic man won the Pulitzer Prize in 1965 and threw himself off the Washington Avenue Bridge in Minneapolis in 1972. Although his story is tragic and his poems are haunting, he and his contemporaries had a significant influence on American humor. Berryman was one of America’s original confessional poets. In addition to changing the landscape of American Poetry, this movement also helped open American minds to a new acceptance of controversial subject matter. During the 1950’s and 1960’s, these soul-baring poems offered intimate, first-person explorations of topics that had been heretofore off limits. While sometimes shocking, these works were far more than the verbal strip-teases of provocateurs. Berryman and his contemporaries, Lowell, Plath, Ginsberg, Sexton, among others, have earned their place in the literary canon because of their depth of insight and mastery of craft. These mid-century confessional poems were often caustic, tearfully funny, or just starkly honest, but thanks, in part, to them, controversial, and highly personal subjects are no longer out-of-bounds. This social change has made us more receptive to cutting edge humor, more forthcoming and more willing to understand and laugh at ourselves. On that note, I bring you one of John Berryman’s confessions . . . . He had such a great influence on my education.